2 Murano Glass Misty Meadow 8mm Cube Beads. 2 Murano Misty Meadow 8mm Cube Beads. White glass base with swirls of grass green and mauve with 24k..
2 8mm Murano Dark Aquamarine White Gold Foiled Cube Beads The glass core of the bead is wrap..
2 Murano Alexandrite White Gold foil inside Cube Beads approx 8 x 8 mm. These beads (also kn.. Pair Murano Glass Black 8mm Cubes - perfect for earrings. These beads (also known as Venetian Gla.. 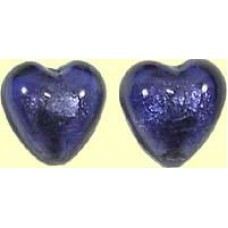 Pair Murano Provence Blue Aventurine Satin Cubes great for earrings so pretty. These beads (also ..
10 Multicolour Magnetic Hematite 4.5mm Cube Beads Hematite or Hematine is an iron ore, and is a sle..
1 Strand Yellow Turquoise Cube Beads; these beads measure approx. 8mm there are approx. 23 beads to ..
10 Swarovski Crystal Light Colorado Topaz 6mm Faceted Cube BeadsThis shape is faceted cube bead..
2 Murano Light Amethyst Silver Foiled Cube Beads approx 8mm. The glass core of the bead is wrappe.. 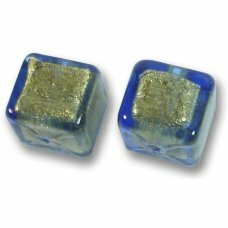 Pair Murano White Gold Foiled Purple Velvet 8mm Cubes The glass core of the bead is wrapped with ..
25 grammes Miyuki Cube Bead Mixture Purity cubes measure approx. 4x4x4mm Miyuki have been manufac..
10 Swarovski Crystal Jet Black 6mm Cube Beads.This shape is faceted cube bead Article 5601.Swarovski..
2 8mm Murano Silver Foiled Emerald Cube Beads The glass core of the bead is wrapped with 100% pur..
25 grammes Miyuki Cube Beads 4x4x4mm Silver Lined Russet Miyuki have been manufacturing glass beads..
10 6mm Swarovski Crystal Tanzanite Cube BeadsThis shape is faceted cube bead Article 5601.Swarovski ..
2 Murano Verde Marino Silver Foiled Cube Beads approx 8mm. The glass core of the bead is wrapped ..
2 Murano Chocolate Amethyst inside 24kt Goldfoil 8mm cube beads. The glass core of the bead is wr..
25 grammes Miyuki Cube Bead Mixture Lemon Fizz cubes measure approx. 4x4x4mm Miyuki have been man..
10 Swarovski Crystal Light Rose AB 6mm Cube Beads so pretty.This shape is faceted cube bead Article ..
1 10x10mm Murano Arancio inside 24kt Goldfoil Cube Bead. The glass core of the bead is wrapped with..
25 grammes Miyuki Cube Beads 4x4x4mm Gold Lined Miyuki have been manufacturing glass beads in Hiros..
10 6mm Fuchsia Swarovski Crystal Cube Beads what a gorgeous colour.This shape is faceted cube bead A..
2 Murano Verde Erba Silver Foiled Cube Beads approx 8mm. The glass core of the bead is wrapped wi..
1 Pair Murano 8mm amethyst 24kt Goldfoil band beads great for earrings so pretty. The glass core o..
25 grammes Miyuki Cube Bead Mixture Snow Mix cubes measure approx. 4x4x4mm Miyuki have been manuf..
10 Swarovski Crystal Khaki 6mm Cube BeadsThis shape is faceted cube bead Article 5601.Swarovski is s..
2 Murano Darkest Ruby Silver Foiled Cube Beads approx 8mm. Note we are unable to re-stock this co..
25 grammes Miyuki Cube Beads 4x4x4mm Iridescent Rainbow Clear (Clear with an aurora borealis type fi..
10 6mm Sapphire Light Swarovski Crystal Cube BeadsThis shape is faceted cube bead Article 5601.Swaro..
2 Murano Pale Pink Silver Foiled Cube Beads approx 8mm. The glass core of the bead is wrapped with ..
2 Murano inside 24kt Goldfoil Arancio Cube Beads approx 8mm. The glass core of the bead is wrappe..
25 grammes Miyuki Cube Beads 4x4x4mm Colour Lined Antique Rose Miyuki have been manufacturing glass..
10 Swarovski Crystal Purple Velvet 6mm Cube Beads This shape is faceted cube bead Article 5601.Swar..
2 Murano Silver Foiled with Aqua Spiral 8x8mm Cube Beads The glass core of the bead is wrapped wi..
10 Swarovski Crystal 6mm Siam Ruby corner Drilled Diamond CubesThis shape is faceted cube bead Artic..
10 Swarovski Crystal 4mm Swarovski Crystal AB Cube BeadsThis shape is faceted cube bead Article 5601..
2 Aquamarine Silver foiled Cube Beads approx 8mm. The glass core of the bead is wrapped with 100%..
1 Pair Murano 8mm 2 Tone Turquoise Blue and 24kt Goldfoil Band Beads with inside and outside 24kt Go..
25 grammes Miyuki Cube Beads 4x4x4mm Colour Lined Baby Pink very pretty rose pink shade. Miyuki h..
2 Murano 24kt Goldfoil inside with Aqua Spiral 8x8x8mm Cube Beads The glass core of the bead is wr..
2 Murano 24kt Goldfoiled 8mm Millefiore Cube Beads 24kt Gold foil on the outside with multi coloured..